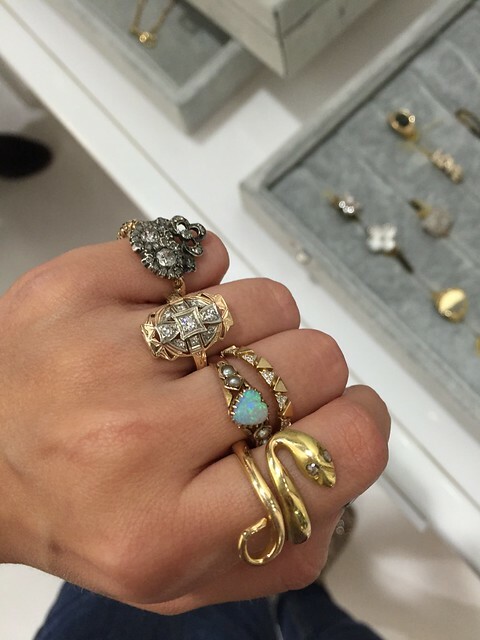 Would wear everything from Katey Walker Fine Jewelry, I couldn’t pick a favorite! Just look at this ear cuff! 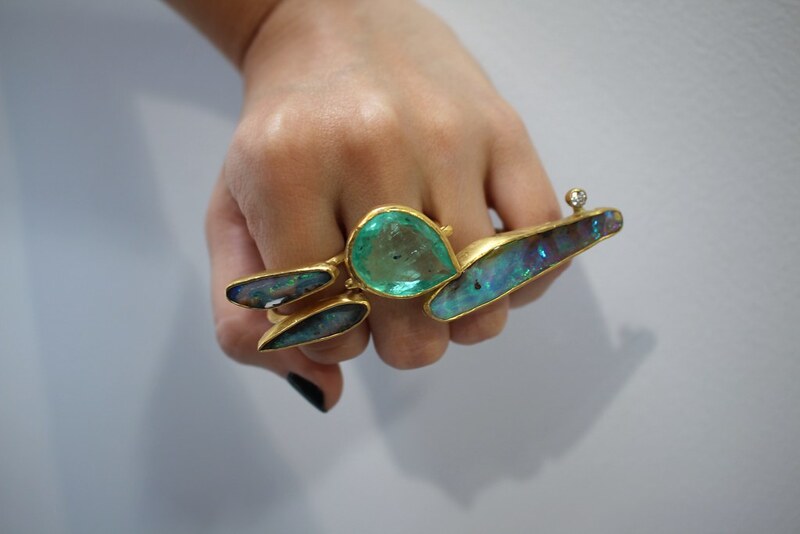 A favorite of mine, Nancy Newberg continues to be most wearable and necessary to someone’s jewel box! 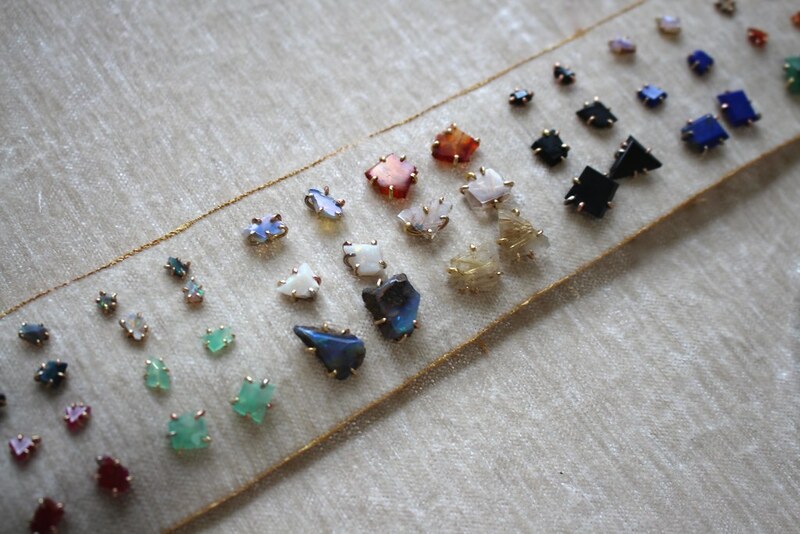 I was way too enchanted by Variance Objects and all their handcrafted jewels, especially these stud earrings! Finally met Jennifer Dawes and her sustainable, “outside the box” bridal pieces. She is based out of Sonoma County, California! 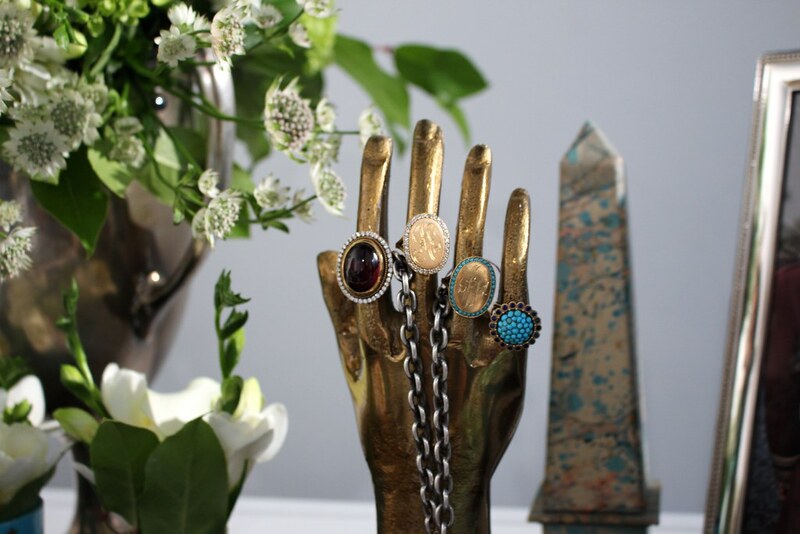 Anabel Higgins Jewelry uses vintage and antique motifs as her main inspiration when designing, often using authentic components when creating pieces! 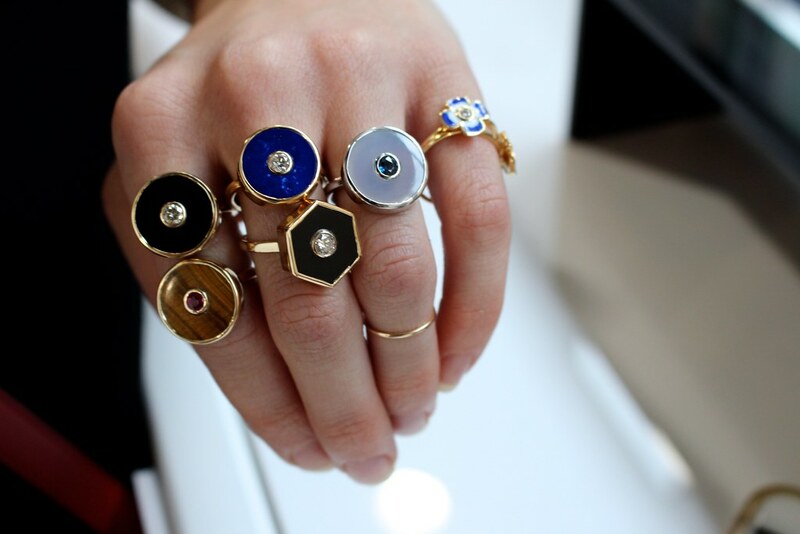 Geometry never looked so good thanks to Selin Kent and her designs. 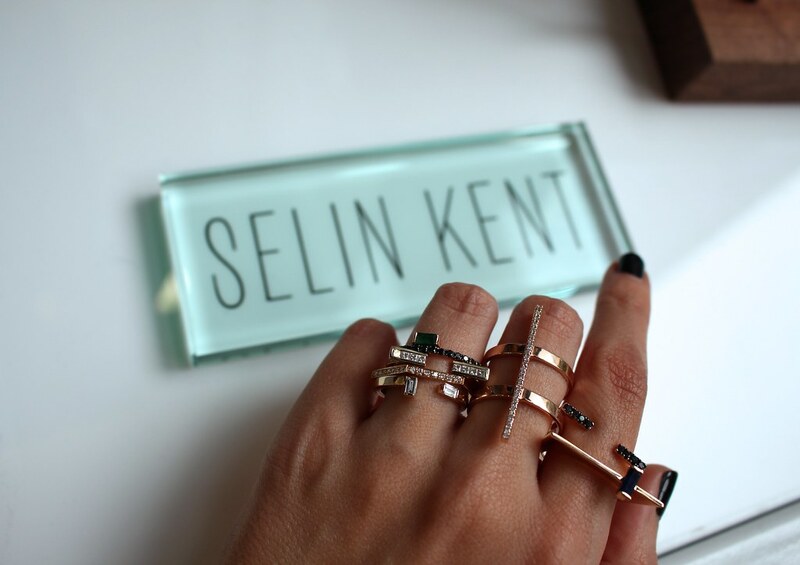 She is based out of NYC but hails from Istanbul, Turkey. 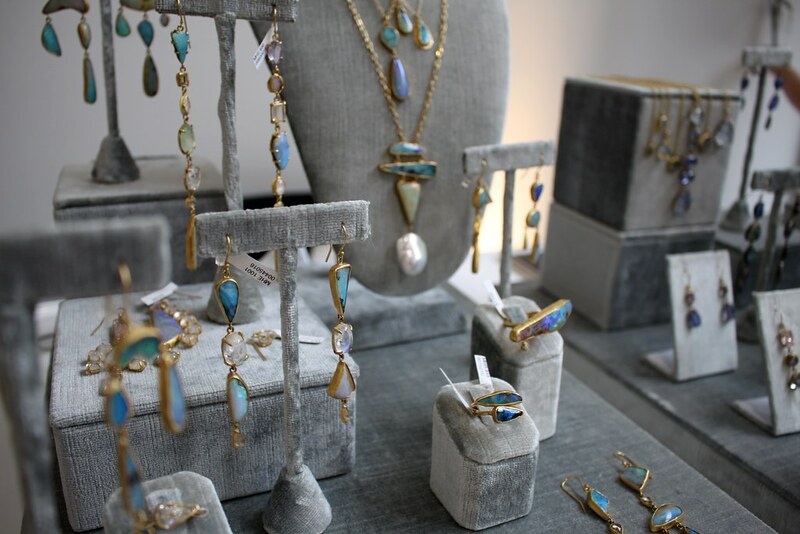 The lovely displays of Margery Hirschey–makes you want to dive into the smooth velvet and stay awhile. 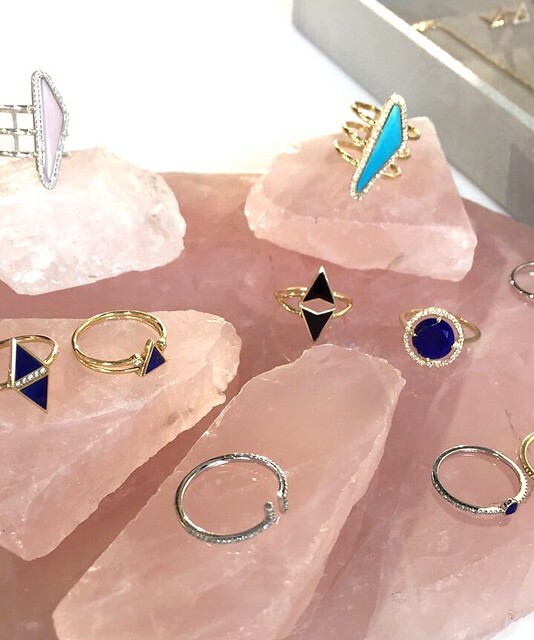 Pointed perfection from Marli, a fine jewelry brand for the modern woman, based out of NYC. Take a look at this sketchbook from Christine Huber who is one that pays attention to detail. Her designs are full of surprises and handcrafted beautifully. 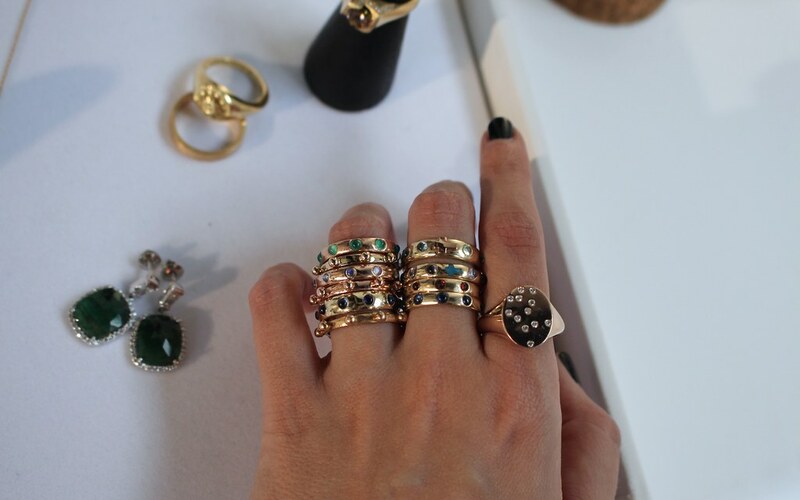 Designer Lisa of Charlton & Lola knows how to create a good stack, her colorful creations have fingers happy and collectors wanting more. Ambyr Childers displays her jewelry on rose quartz and I learned of her Native American heritage which impacts her designs, with each piece being spiritually blessed. 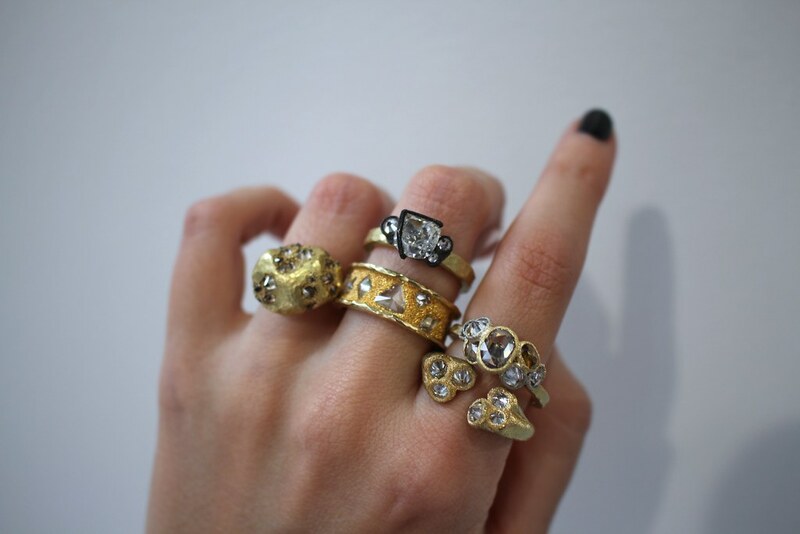 Samantha Knight Jewelry brought out her fine jewelry line along with her curation of fine antique pieces, like these five stunning rings. I want the snake!! 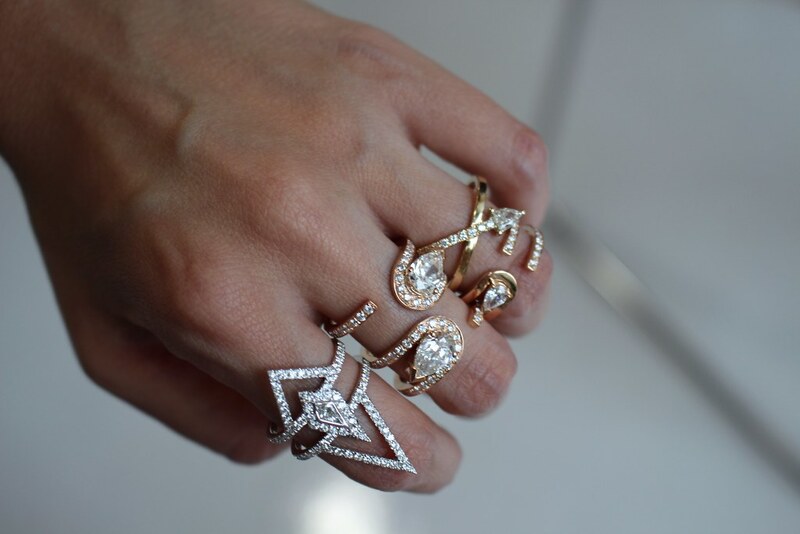 Finally got to meet Uma K Jewelry, her jewels and energy are 100 and these are some of my favorites. 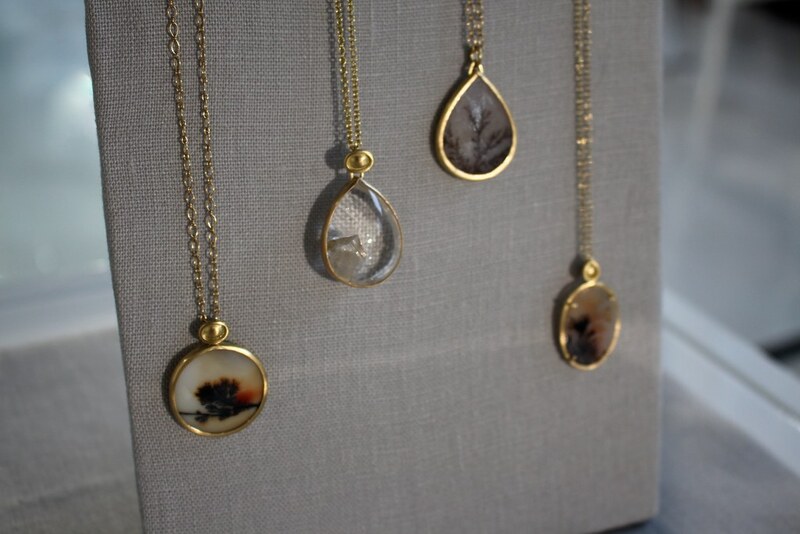 Monica Marcella’s gorgeous pendants–moss agate, dendritic agate and enhydro quartz are one-of-a-kind favorites. 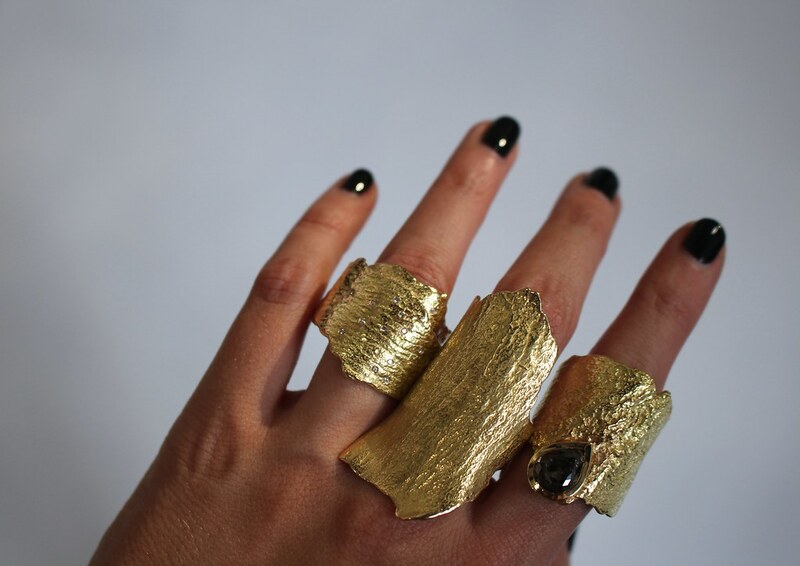 Emanuela Duca is from Italy and uses rich, 18k yellow gold to create these rings. 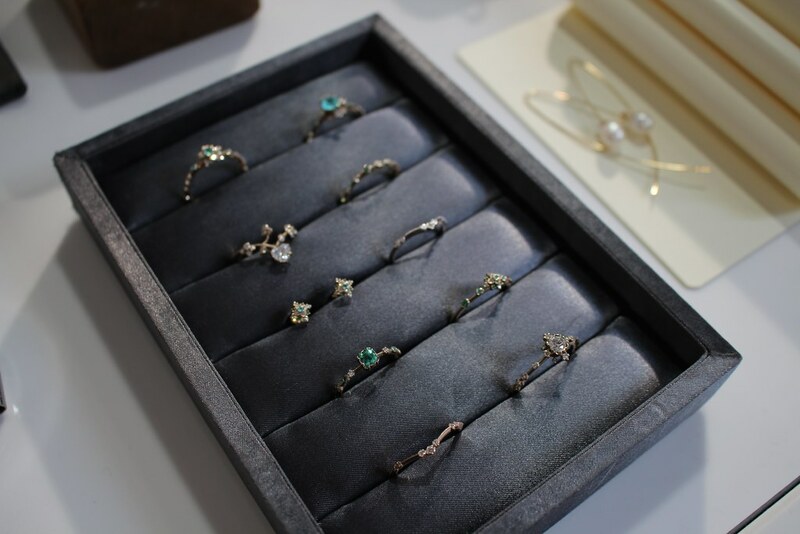 LOVE this display from Workhorse Jewels–these vintage vitrines are perfect for holding their vintage inspired stacking jewels. 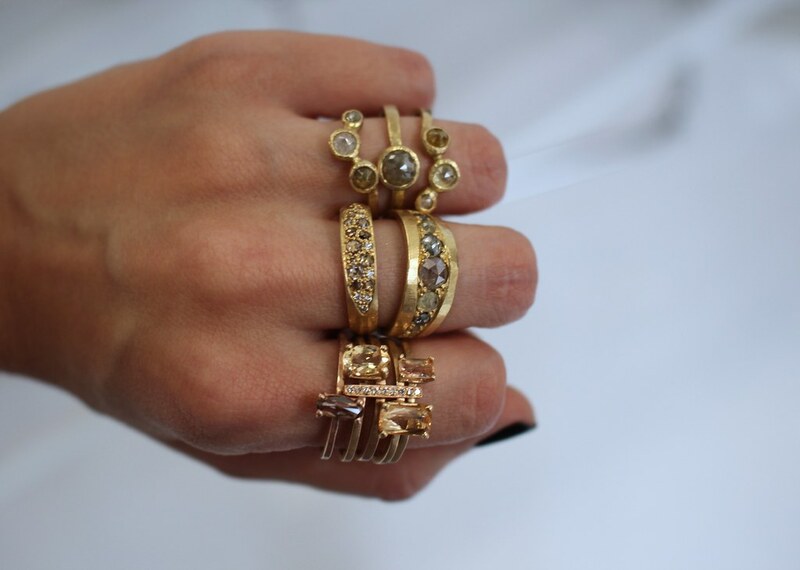 And yes, they make antique-inspired baby rings, but in rings sizes that are fitting for today’s fingers. 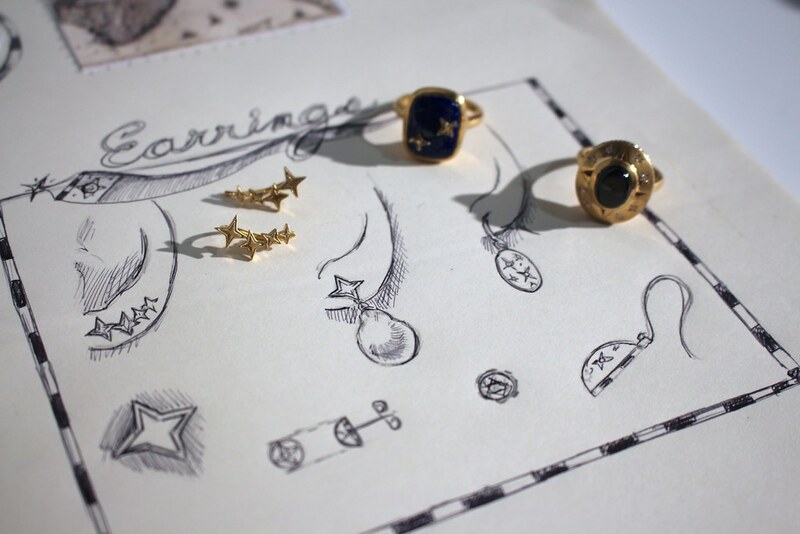 Hannah Blount Jewelry handcrafts every piece in her Boston studio and is as sweet and funny as her whimsical jewels are! 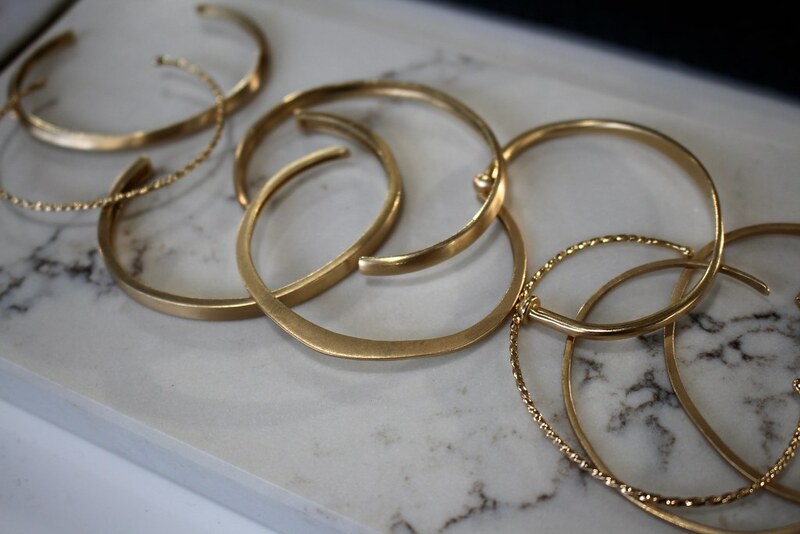 Vrai & Oro are based out of LA and strive to create essential fine gold pieces at a fraction of the cost–getting rid of markup and sold online-only. 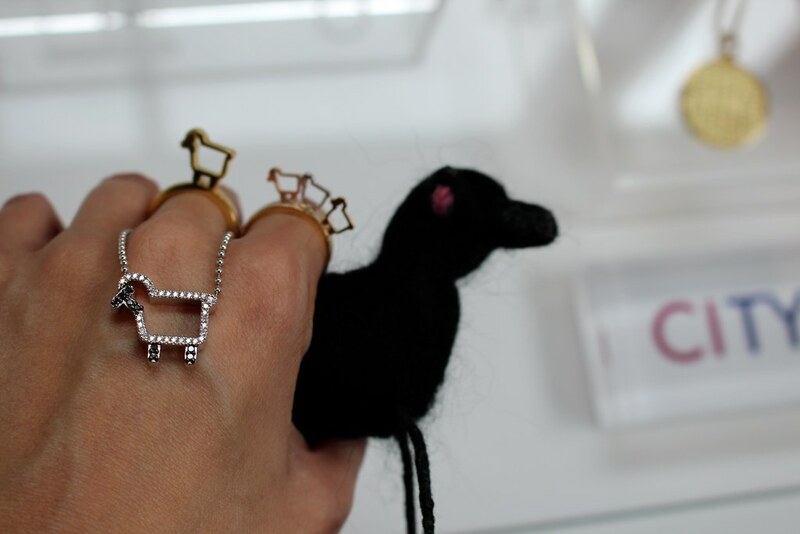 I never wanted a lamb so bad (besides a real baby lamb) before seeing these little lamb rings by Julie Lamb (yes, that’s her real last name). 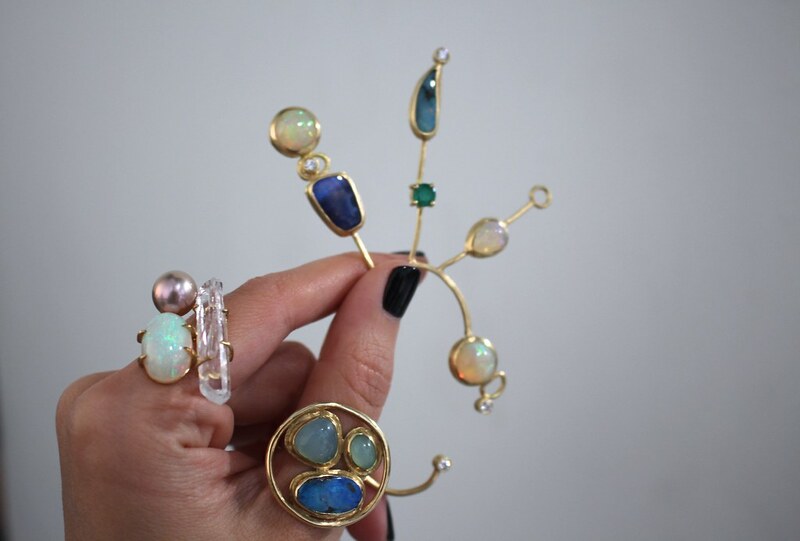 LuLu and Shay Jewelry is based out of NYC and I can’t get enough of her handmade pieces, especially her matte gold finish and totally dying for a sapphire Bud Ring! I love finally getting to try on something you’ve been wanting on for the first time–that’s what I was feeling when meeting Elizabeth Buenaventura and her amazing collection. 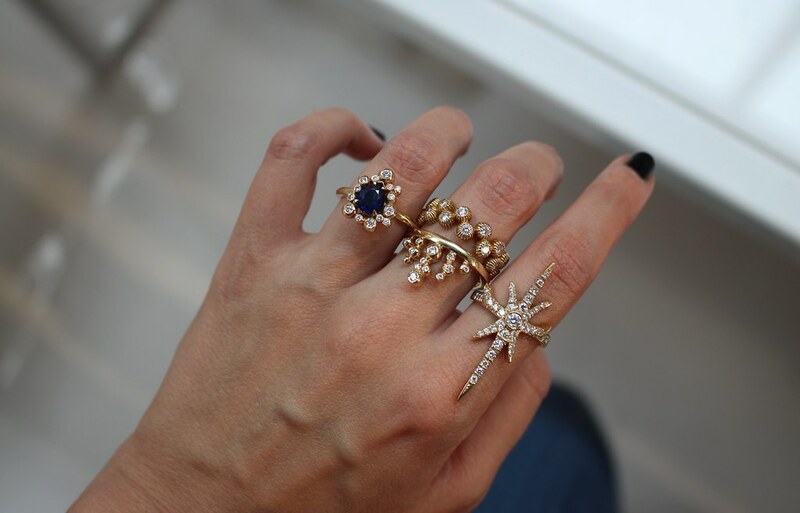 Her Starfish ring is on my wish list! If you want to be blown away by design, just check out Roule & Company. Many of their designs feature cage-like enclosures, encasing loose gems for a fun, kinetic piece. They are based in NYC. Someone inspired by antique jewelry is usually a jewelry designer I can get down with! Liz Phillips’ had a collection that took Art Deco details and brought them into today’s world. 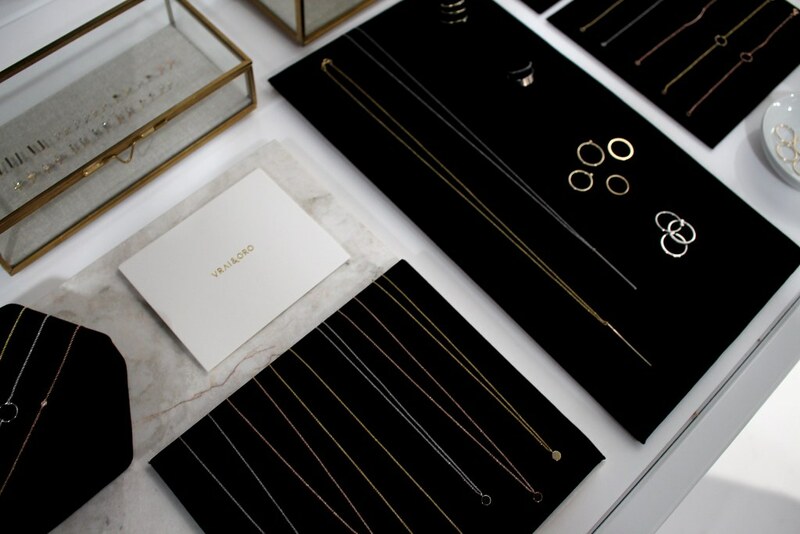 Tola Jewelry’s phrase is Alchemy + Architecture and her jewels embody and depict that phrase perfectly. Her handmade cuffs, seen here, mold to the wrist and feel like second skin. 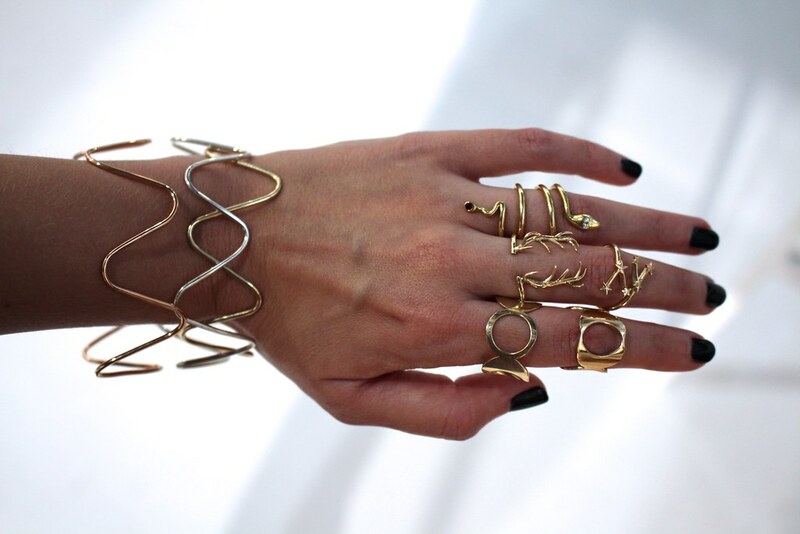 Yama Jewelry is created by an architect turned goldsmith and designer–the pieces are fun, bold and done in 14k or 18k gold. 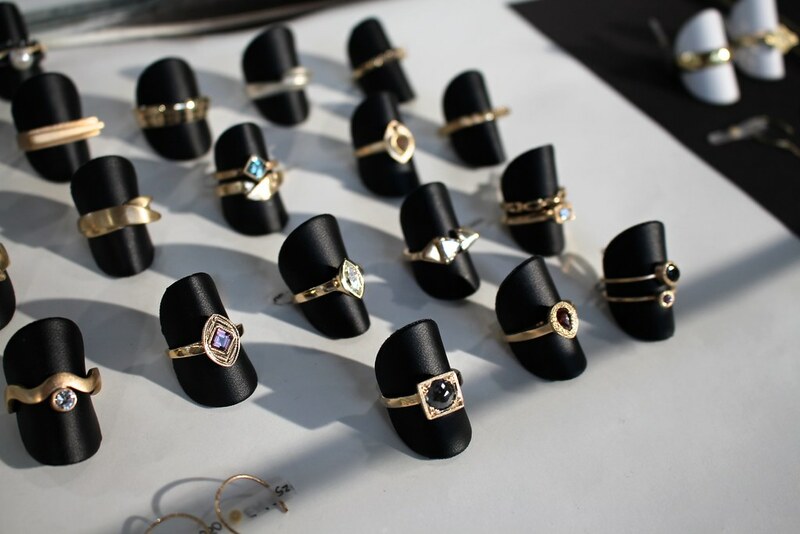 Sophie Ratner is a recent graduate of The Rhode Island School of Design and I loved seeing her pretty and feminine designs on display. 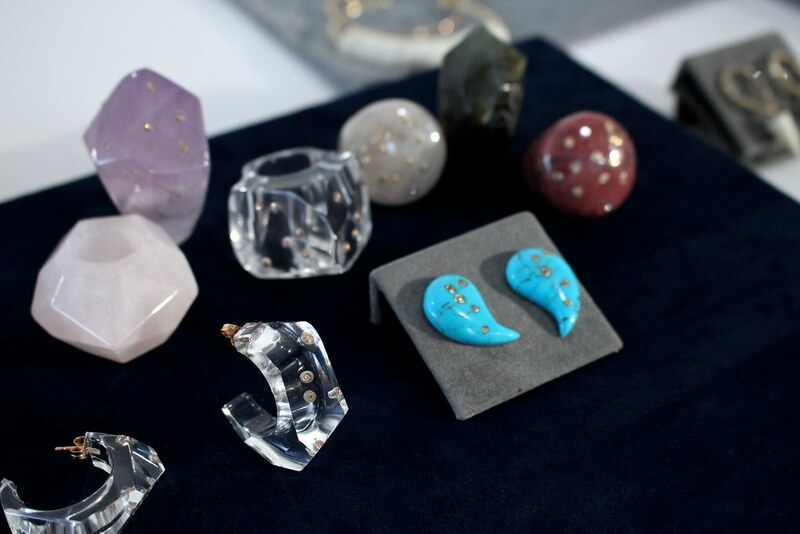 Cherut Jewelry is based out of Tel Aviv and is designed by Shani Erez who draws from her surroundings and background to create this modern, ultra-chic line. 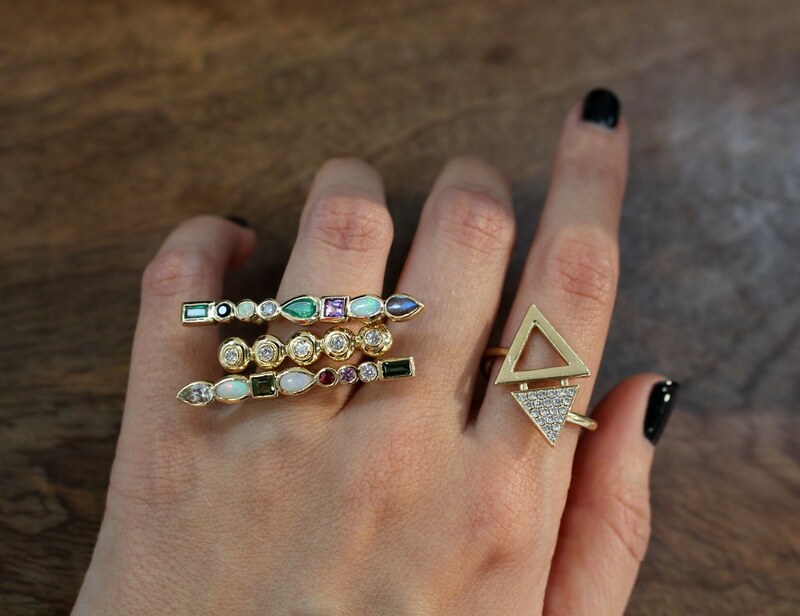 Bleecker and Prince is a cool line that showcases jewelry like above–chunky, bold gems carved into jewelry…and then it has a totally opposite look, with pieces that are delicate and layer-ready done in gold and gemstones. 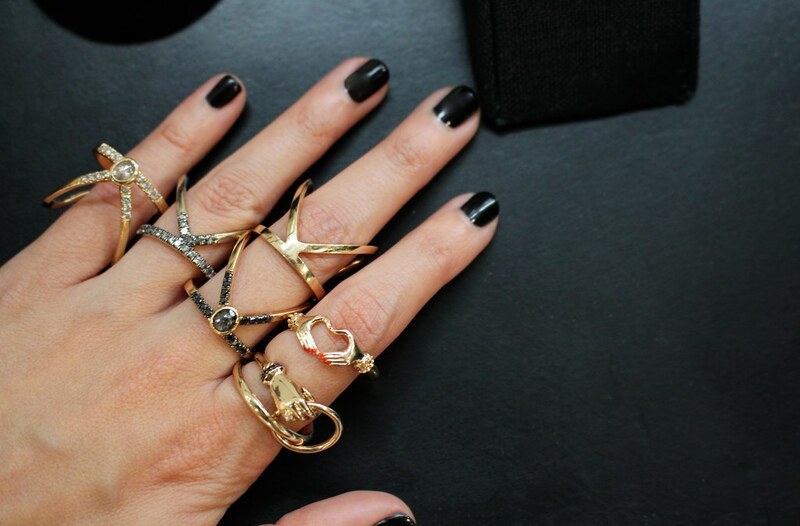 Love the Yin and the Yang of this collection. 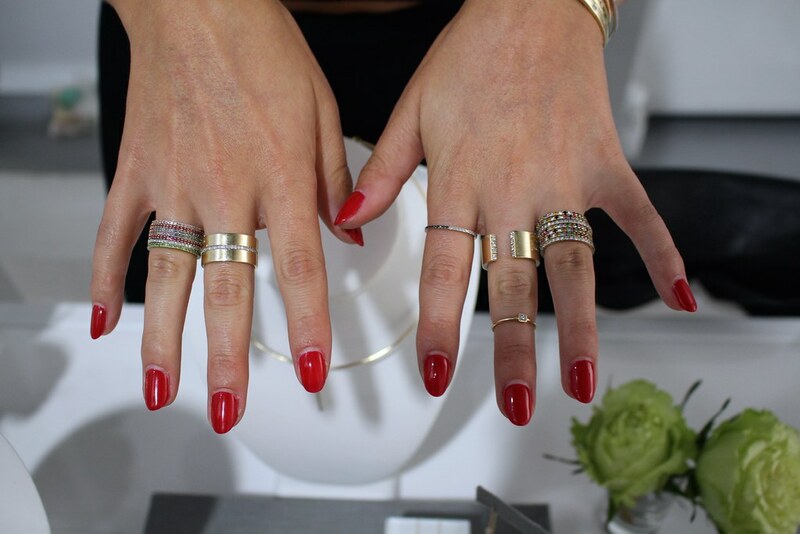 One to watch: Gillian Steinhardt whose designs were bold (what I love) and some incorporated hands (which I absolutely love)…and then I saw that some of the hands had red enamel nail polish on the nails and I was hooked. 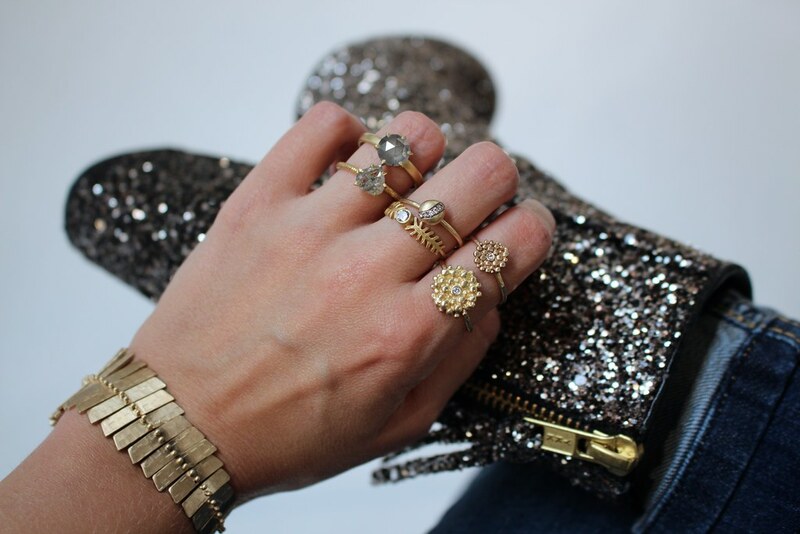 Eriness Jewelry shows you exactly how to stack it up! 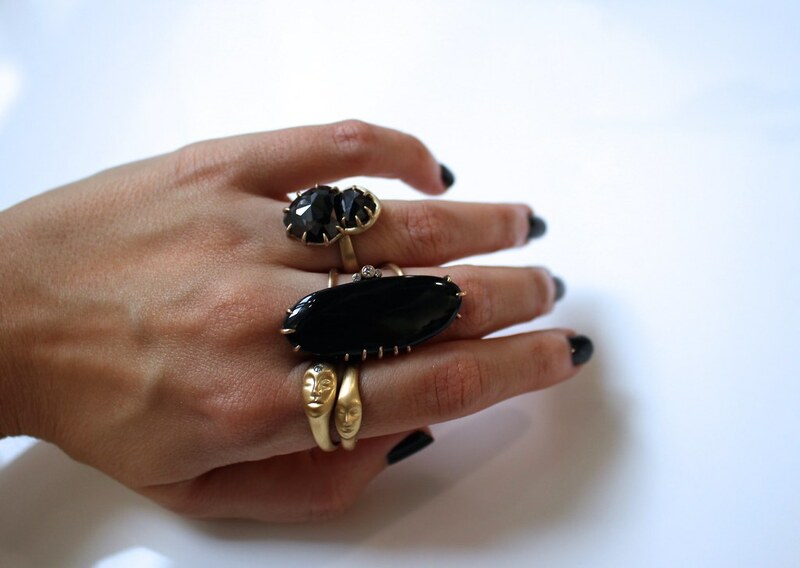 Moratorium Jewelry is based in NYC and shall I say, mixes goth with glam? 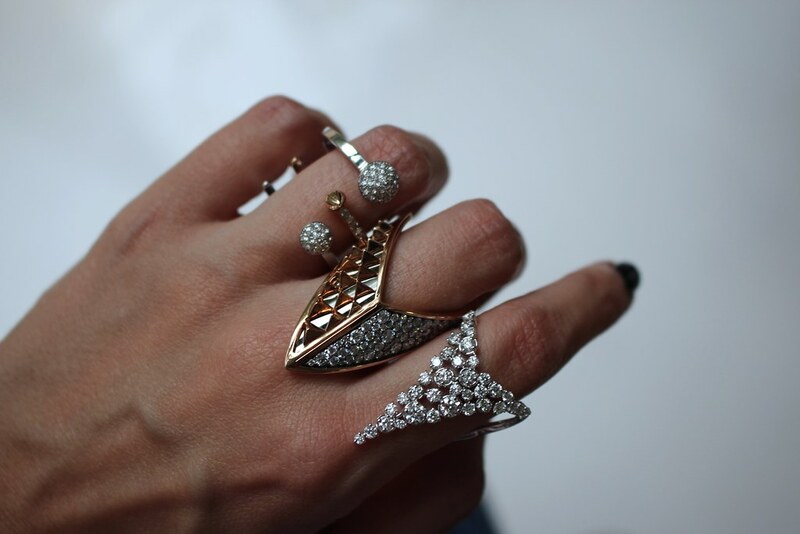 Or badassness with diamonds? I like that better. Creating something new and different, something that is needed and challenges what is currently offered is not for the faint of heart. It takes great determination, a driven and clear path, a concise vision and lots of enthusiastic supporters to pull it off. 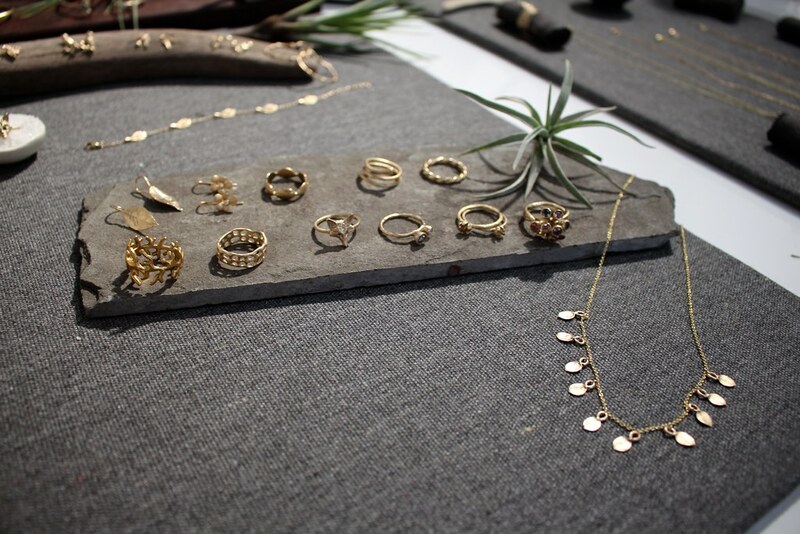 Metal & Smith was envisioned by co-founder Lee Wright as an experience for fine jewelry brands to present their work for potential buyers, press and stylists in a laid back, open environment. Something similar to a trade show, yet unlike a trade show in every way possible. 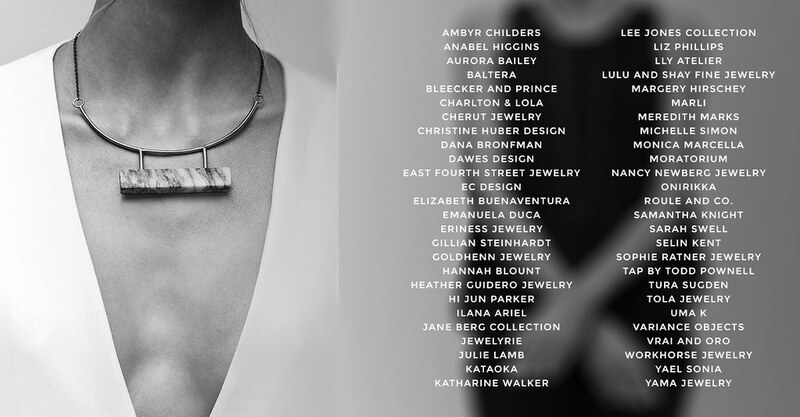 I was honored and excited to be on board with Metal & Smith as an Advisor and help curate which jewelry talent was invited to this exclusive one-day event which took place September 19th, in NYC. Attending the event was so much fun as I immediately could feel the enthusiasm from everyone there, whether they were exhibiting, attending or helping. Designers had one day to show off their work, which brought talent from as far as Israel, Japan and all over the US. 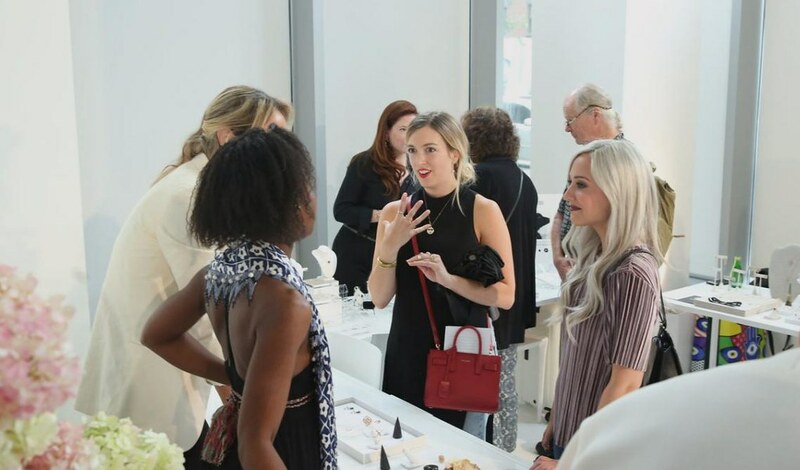 Having a great location started with NYC as a diverse, upbeat backdrop and the Mercantile Annex offered the perfect setting for this new type of jewelry show. 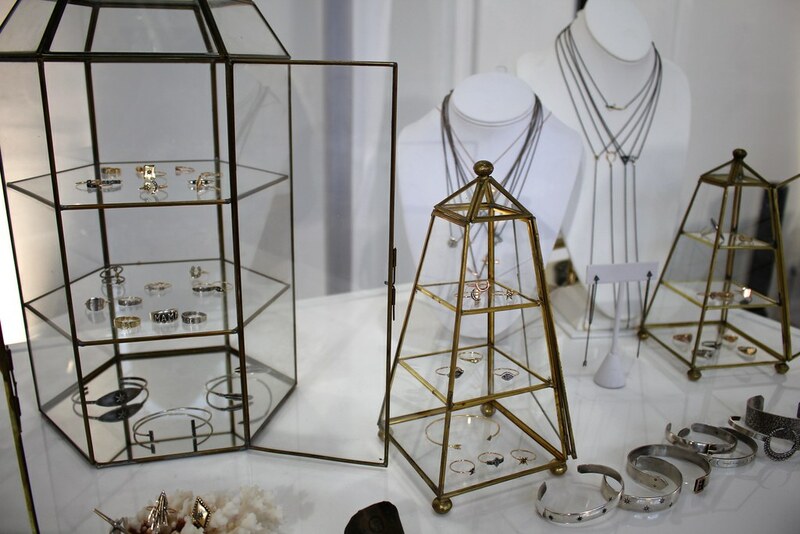 All white floors and walls, large windows, plenty of sunlight, and table top displays, all of which are features not typical for a jewelry show, but were first and foremost for Metal & Smith. 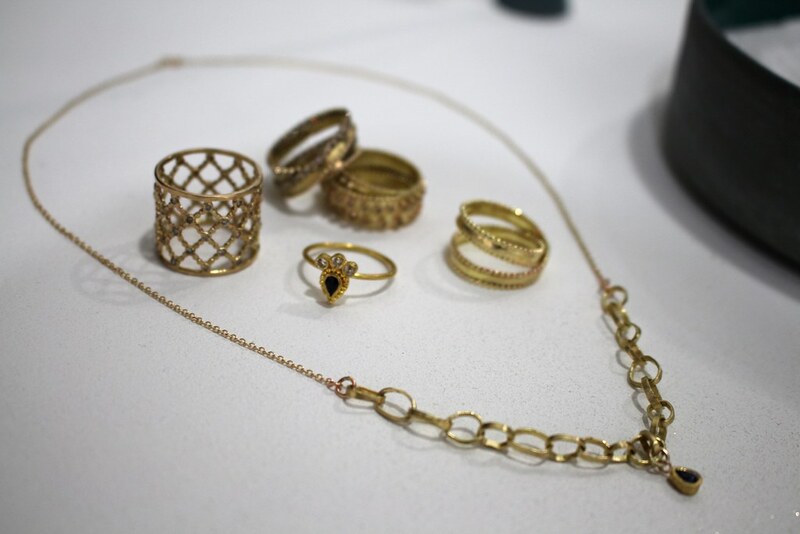 I like to call these distinguishing features a blogger’s dream because taking photos is so important in our job and the backdrop/lighting at most jewelry shows is, well, completely horrible! I couldn’t have been happier snapping photos at Metal & Smith thanks to something extrememly rare being present–THE SUN. The differences didn’t stop there. Having a list of exhibitors that did not exceed more than 50 may be the smartest part about Metal & Smith. First off, being able to FOCUS on 50 was doable and not feeling overwhelmed helped tremendously. It also gave the event a feeling of exclusivity. 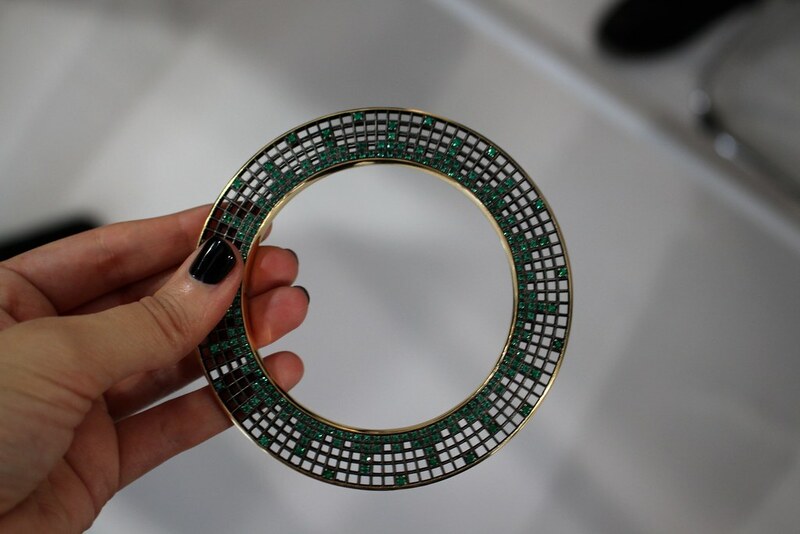 My goal was to visit all 50 designers and although I spent a total of 5 hours at the show and thought I had visited everyone, I realized once I had left that I had forgotten a whole section! I enjoyed that the event was one day only, from 1-9pm, which is another aspect about Metal & Smith that sets it apart. One thing is for sure, the Metal & Smith show is a great place to discover new talent. Just as the event had their debut last week, so did many of their exhibitors, with several who exhibited for the first time ever that day. It was unchartered territory for many, but you would not have guessed by their confidence and proud displays. 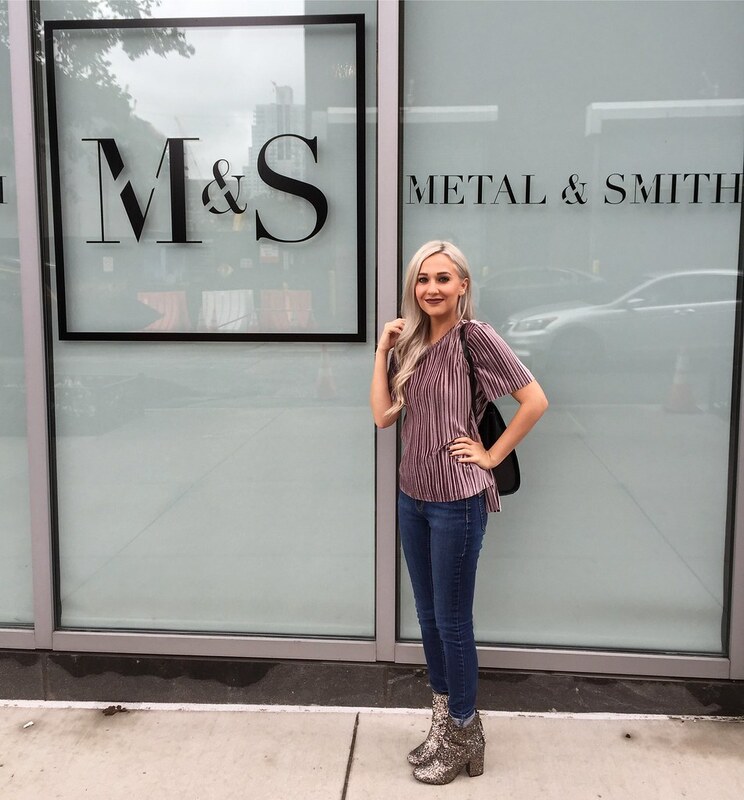 Jewelry stores and luxury lifestyle stores who like to be on the cutting edge of what’s new and now have a unique opportunity with Metal & Smith for this exact reason! There is no one jumping on the band wagon here–just trend setters and the next big thing happening.